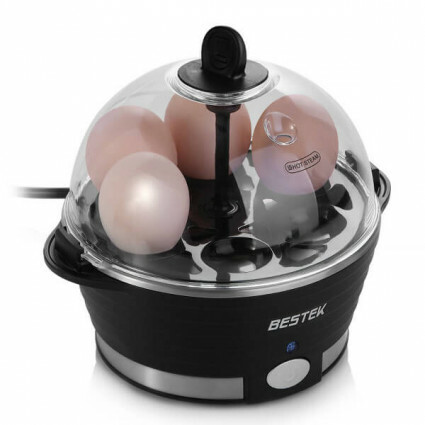 The compact electric egg maker can boil up to 6 eggs at the same time rapidly, to help you spend the hungry time. Soft, medium and hard settings allow you to make eggs as you like. You can also make omelettes with egg trays. Allow you to make hard, medium and soft boiled eggs as you like.